The outsourcing of a core business process is complex and in some peoples’ minds, something of a risk. Best practice dictates that you should engineer the best contract you can, along with a tight set of highly-defined SLAs in order to guarantee the best possible outcome and mitigate the risks. But really, at the end of the day, it comes down to this simple question: do you believe your new partner has the right calibre of staff on-board to do the job? This core question is made that much more nuanced when it comes to off- or nearshoring. It’s one thing to contract with a service giant based in your own country. But what if the new team is based half a world away – or, as is increasingly the case, Central and Eastern Europe (CEE)? The good news is, customers working with quality CEE nearshoring partners have very little to worry about, and actually quite a lot to be reassured by. That’s because the vast and growing pool of human talent service firms have three highly-favourable characteristics: youth, a dedicated approach to education and a strong culture of quality training. Young people often get a bit of disparagement, especially in the UK, with some loose ideas about ‘Gen Y’ this or that. The reality is that so-called Generation Y – workplace entrants bring a valuable set of attributes into their new jobs. They are completely digitally aware for a start, so there’s less of a learning curve. They also like a challenge, look for interesting and rewarding careers from the start, and are very good at self-management, report satisfied employers. The Gen Y cohort already in or about to join the CEE tech human capital resource are just like this. They also share another characteristic of young modern Europeans; they are multi-lingual, happy to move between countries to gain experience and advance themselves, and have often already done a stint living or studying in, say, London, before they come on-stream for you in Prague or Bratislava. Meanwhile, they have been taught at college to work in teams and be skeptical of hierarchies, which can also be great for bottom-up innovation. And because they want to enjoy their work, not just climb the greasy pole the way you or I might have resigned ourselves to, these guys can be incredibly loyal – but only if they feel valued and stimulated. And good CEE-based service companies know this – which is why they are shaping their recruitment and retention policies to capitalise on just these very strong distinguishing marks of Europe’s Gen Y graduate workforce. In terms of recruitment, the market is very competitive and there is a lot of talent available in the CEE. Experienced, senior people are rich picking in the Czech Republic and Slovakia, whereas Bulgaria and Romania is stronger for more junior staff. The reason that the Czech Republic and Slovakia are better for senior people is because they receive hands on education and training in the workplace after finishing university, and because the big US tech companies such as HP and IBM set up shop there more than 10 years ago. This has resulted in producing people with very strong communications, customer relations and management skills – meaning they are very experienced, highly trained and extremely well rounded. 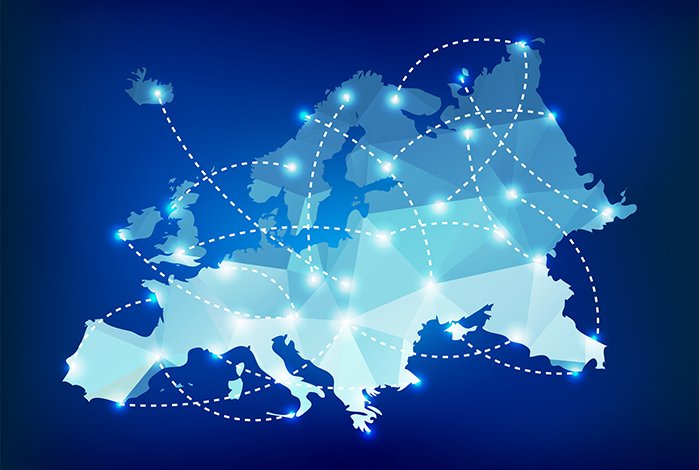 Western Europe may have little choice in looking to CEE nearshoring – as 51 million ‘millennials’ are moving into the workforce, while 48 million Baby Boomers will retire over the next 10 years, according to a Forrester Research study published in 2006. That study also provides one last basis for optimism, by the way: “Talented, mobile individuals who are so used to connective technology that they embrace it at work without a second thought.” Don’t you want that kind of enthusiasm on your outsourced business process?